What is Total Cost of Ownership, and why is it important? As we said, when it comes to purchasing a conveyor system, the initial cost is only one piece of the puzzle. 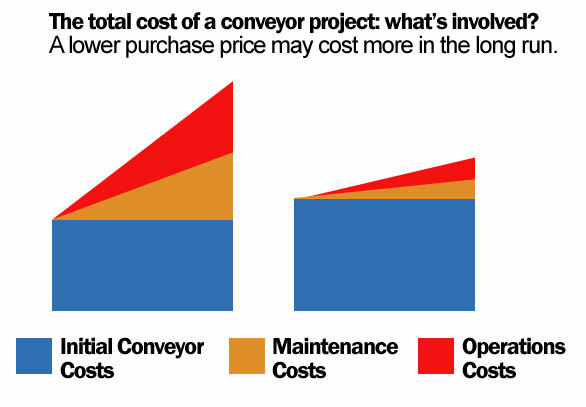 The long-term costs associated with your conveyor fluctuate depending on the controls, power train and other components of your system. The Total Cost of Ownership takes those factors into account over the period of time you use your conveyor. That means that with a greater initial investment and more applicable system, you could decrease your Total Cost of Ownership as shown below. Sounds pretty good, right? But before you agree to a higher initial cost, it’s important to know what goes into those lower costs of ownership. How do I calculate Total Cost of Ownership? This means that the Total Cost of Ownership decreases as the Operational Costs and Maintenance Costs decrease, and while the Useful Life increases. So, how do I control long-term costs? There are a few ways to control your costs in the years to come with your conveyor. This is essential. 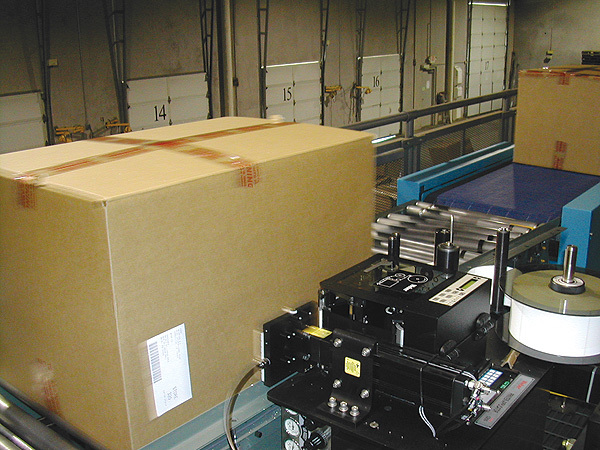 Select the right conveyor with the adaptability you’ll need for your system. This is the most important piece of the puzzle, since no amount of maintenance will be as expensive as having to replace a conveyor altogether because it doesn’t work for your application. Use a sleep feature to cut off power to zones or the entire conveyor when it isn’t in use, and you can save 10-20% in energy costs for belt-driven live roller conveyors and 99% on 24-volt systems. Not only does this save on energy costs—it reduces wear, thereby reducing maintenance and spare parts. With the right controls, you can also adjust the speed of your conveyor to adapt to your throughput requirements. Run the conveyor at the speed appropriate for the season. Motor: The difference between standard efficiency and energy-efficient motors may only be 3%, but in a large operation, that can mean $10,000 to $30,000 in energy savings, and even more in maintenance costs. Gearbox: Stepping up to a higher efficiency gearbox can reduce horsepower requirements, thereby saving energy costs. Synthetic Lubrication: Add even more efficiency with this relatively inexpensive lubrication addition, and make your equipment last longer. While the chain and sprocket drive is the most popular default in the industry, it is the component that requires the most frequent maintenance. Replacing these components with a direct drive may add to your initial cost, but can reduce the spare parts and maintenance costs associated with the components. By taking the time and assessing your conveyor system with enough foresight, you can save yourself at least thousands of dollars down the line. A more detailed article on this topic can be found here.